Others include Friends of the Earth Africa, Food Sovereignty Programme and Agrofuels Campaign, civil society groups, development experts, community representatives, farmers, government ministries and agencies, media representatives and consumer rights groups, among others, met in Abuja from October 20-24, 2009 at the conference on AGRA, Land Grabs and Non-Ecological Agriculture. A communique that was wired to our correspondent on Monday said participants, at the conference, hosted by the Environmental Rights Action/Friends of the Earth Nigeria (ERA/FoEN) discussed the challenge posed by the Alliance for a Green Revolution in Africa (AGRA) - an initiative of the Bill & Melinda Gates Foundation and the Rockefeller Foundation - and the need to build knowledge and resistance to land grabs on the continent and other non-ecological agriculture that threaten African agriculture and food sovereignty. In his welcome words, ERA/FoEN Executive Director, Nnimmo Bassey said that the novelty christened AGRA, and the GMO/Agrofuels initiatives promoted by big agribusinesses only aim to erode Africa's traditional systems of farming and contamination of indigenous seeds in favour of engineered varieties. Bassey noted that the convergence of all the agricultural initiatives of the biotechnology industry and their allies in the donor-driven research institutions towards Africa, is targeted at re-colonizing the continent and entrenching hunger by undermining its food sovereignty. 1. 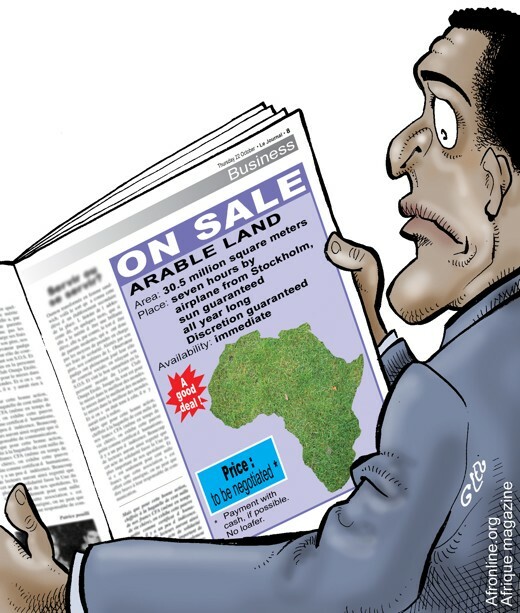 Enormous tracts of land on the African continent have been taken over by trans-nationals for agribusinesses, governments and individuals interested only in profits and not in the interest of smallholders' livelihoods. 2. Agricultural systems proposed by most donor/transnational agencies and implemented by African governments have so far proven to be unsustainable and not pro-farmers. In the same way, discretionary powers on land vested on national governments in Africa have facilitated expropriation of community lands and retarded the growth of agriculture. 4. There is low public awareness on AGRA/GMO/Agrofuels and other initiatives promoted by the global North. Although AGRA claims they seek to support smallholder farmers, their supporters are incessantly pushing for the deployment of genetically modified crops into Africa. 5. GMOs have failed to produce promised results such as higher yields, producing more nutritious crops and reduction of chemical inputs, including herbicides. 6. Up to 80 per cent of GMOs currently produced in the world are destined for animal feeds, not to fight hunger and malnutrition. Also the uses of GMOs imply the use of a lot of agrochemicals which contaminate our food, lands, water and peoples. 7. African governments have failed to sufficiently fund farmers and indigenous solutions to boost farm yields. Instead, they hobnob with neo-liberal research institutions that promote alien solutions to traditional African problems. 8. Agrofuel are false solution to climate change and are neither climate- friendly nor are they replacement for fossil fuels. a) There is urgent need for public debate/awareness on GMO/Agrofuels and AGRA. Africa should not be a dumping ground for unverified technologies such as genetically modified crops. b) African governments must adequately fund local research to boost agricultural yields. They must also shun all donor-driven funds that will not support indigenous solutions to hunger in Africa. c) The capacity of local scientists must be built to strengthen home-grown approaches to agriculture that is suitable for the environment and economy. d) The capacity of communities, journalists and food advocacy groups must be strengthened to enable them adequately play their roles as watchdog in the society. e) The media must be allowed unfettered access to information through initiation of laws that will guarantee freedom of information. f) There must be transparency in government dealings on biotechnology industry with citizens. g) Laws on land policy on the continent must be reviewed to eliminate all forms of diplomatic immunity or unnecessary privilege conferred on investors in community lands. h) Adoption of eco-friendly solutions that have proven far cheaper than so-called GM solutions that have only impoverished farmers and robbed them of livelihoods as verified cases in parts of Africa have shown. i) We demand that African governments take adequate steps to protect local farmers and the entirety of Africans from unhelpful schemes that have created hunger and food shortages on the continent. In conclusion, we are united in our opposition to land grabs, GMOs, Agrofuels, and AGRA on the continent. We call on all progressive-minded peoples and organisations to support our call.